The Anglo-Belarusian Society and the Association of Belarusians in Great Britain welcome submissions for an academic conference entitled ‘Kastus Kalinouski and the Process of Nation-Building in Belarus’, to take place in London on 28-29 March, 2014. The primary goal of the conference is to examine the historical and political implications of the January 1863 uprising for nation-building in Belarus. The conference aims to constitute a forum for exchange between scholars of various disciplines. 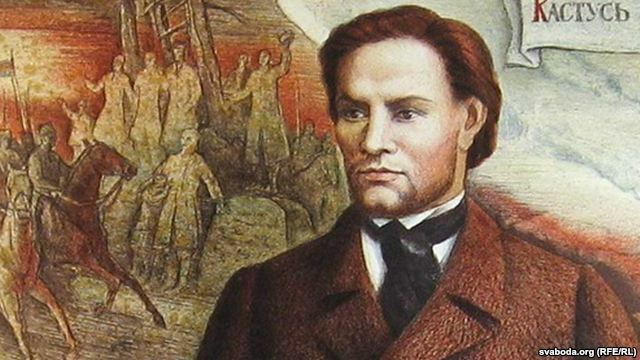 The organisers invite the submission of abstracts of proposed papers aimed at improving an interdisciplinary understanding of the figure of Kastus Kalinouski and his impact on Belarusian national discourse. Selected papers will be published in a special issue of the Journal of Belarusian Studies in English and Belarusian. The abstracts – no longer than 1,000 words in English or Belarusian – should be sent by 31 October 2013 at the latest to Karalina Matskievich at the following email address: mail@absociety.org.uk. This entry was posted in ABS and tagged Anglo-Belarusian Society, association of Belarusians in Great Britain, Belarus, conference, kalinouski, london. Bookmark the permalink.